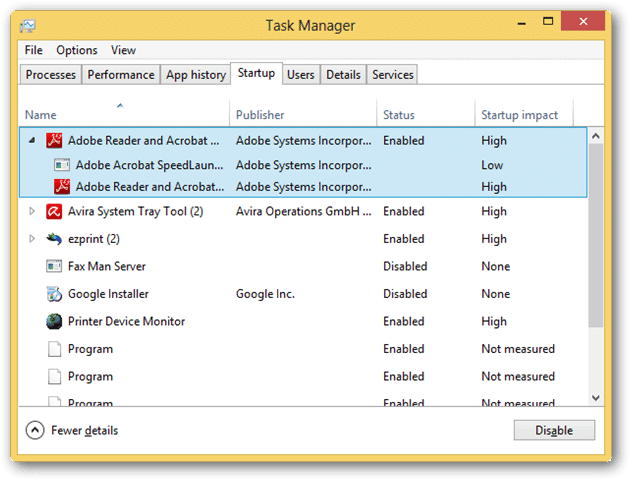 Despite improving much of the functionality in Windows 8, you still have to learn how to manage startup apps effectively to get the most out of the OS. 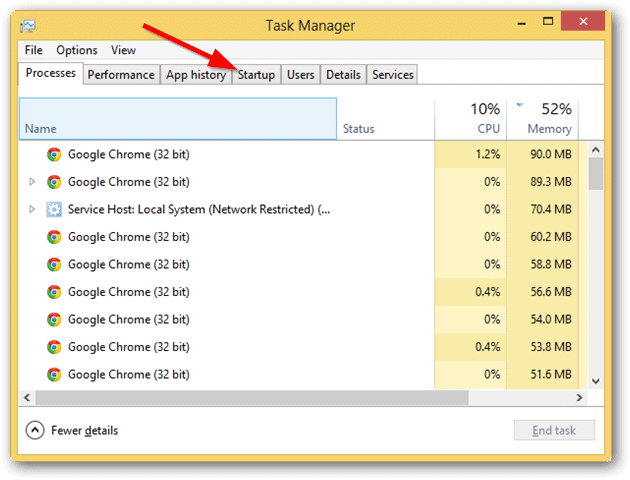 Startup apps refer to those programs that start up when you boot up Windows. The Metro-style apps you install from the Windows Store or any alternatives to it aren’t allowed to be started when you boot Windows 8. We’ll show you how to manage your startup apps effectively in Windows 8. Boot up Windows 8 and once logged in, head to the Desktop. 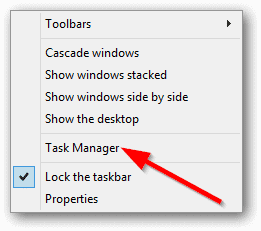 A context menu will appear that allows you to open the Task Manager. 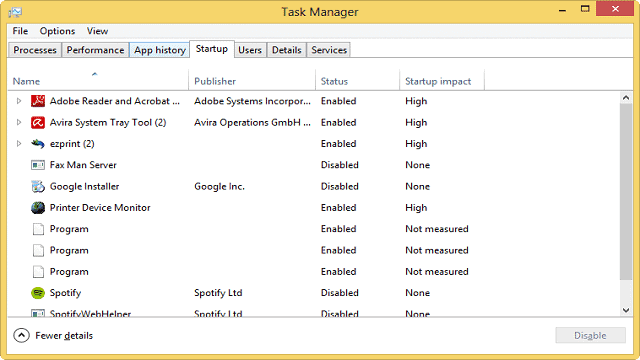 Windows 8 introduced a new feature to the Task Manager in the guise of a Startup tab. Click “Startup” to get started managing your startup apps. This tab shows you everything that starts when Windows 8 boots up. This includes update services, programs and more. As you can see, everything from Adobe to print servers to even something like Spotify are included. You’ll also see the impact it has on the speed of startup, along with whether or not the entry is enabled on startup. If you click on an entry, it’ll open up any dependencies the primary startup program or service has relying on it. By right-clicking on any entry, you can learn more about it, open its Properties, open its File Location and disable it. 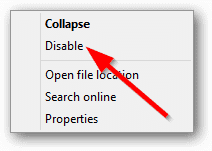 From here, if you click “Disable,” you can disable that item on startup. 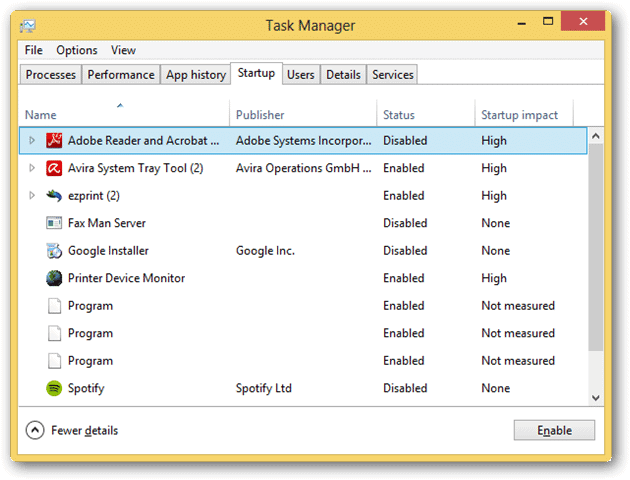 When it comes to disabling startup items, you want to research on each item before doing so to avoid any issues loading valid programs you need to use in Windows 8. How much difference does it make if you manage startup apps or not? Windows 8 boots lightning quick. But the more programs and services you run at startup, the slower that process will become. By managing your startup apps from the Task Manager, you can ensure your boot time is as quick and efficient as it was when you first installed or upgraded to Windows 8.